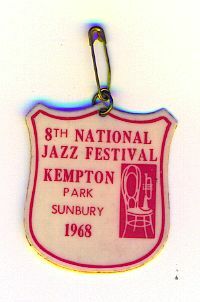 Sunbury was the one and only National Jazz and Blues Festival I ever attended . I wish I was able to attend more, but at least I am able to give an extensive first hand account of the 1968 bash . Recently I have also received material which allows me to fill in many of the gaps in my previous pages , such as who exactly performed on which day as well as exclusive photographs of many of the acts performing at the festival. Many thanks to Wolfgang Fuerst , Austin Reeves , Mike Weaver ,Pieter van der Wal , Klaus Wachtarz, Franz Murer and Tonny Steen for this invaluable information. These pages contain my recollections of the festival along with press cuttings, photos and reviews . 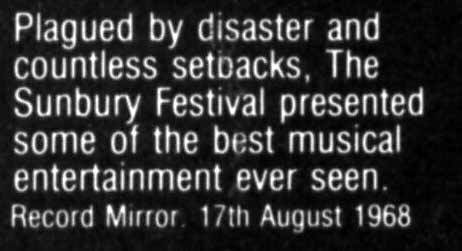 It was a great festival , despite the nasty accident on Saturday night which injured 74 people. Surprisingly, this did not put a damper on the proceedings- the show continued on the Sunday ! . The Nice , Deep Purple, Jethro Tull, The Herd, Ronnie Scott, Jon Hendricks, Mike Westbrook, Jerry Lee Lewis, Taste,Tyrannosaurus Rex , John Mayall, Chicken Shack, Incredible String Band ,Spencer Davis Group, Traffic, Fairport Convention, Clapton , Seaman and Baker, Joe Cocker and the Grease Band ,The Jeff Beck Group and The Crazy World of Arthur Brown. A fantastic lineup of some of the best of the British rock groups of the day. 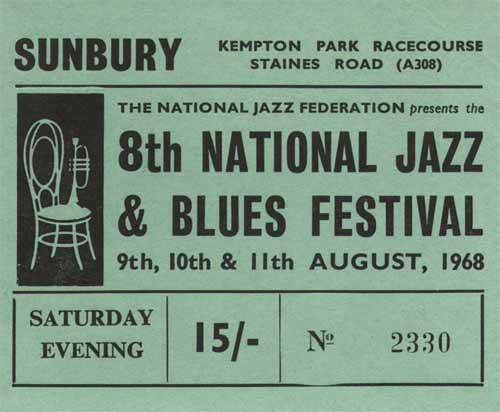 This Festival- along with all the other 1960s National Jazz and Blues Festivals - has been sorely neglected over the years and there was , until we created this site , very little information available on the net. This site is an attempt to put this right . Can you help to develop the information base that is available ? 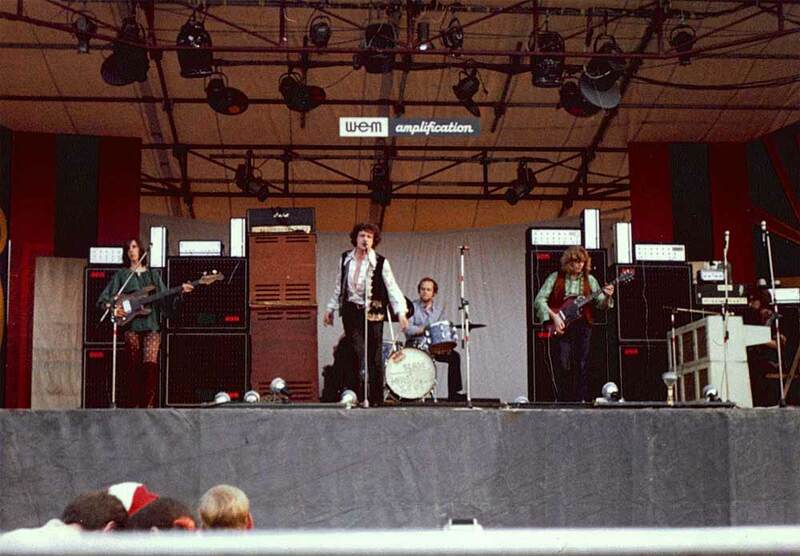 To my knowledge there are no tapes circulating of the festival performances , that of the Jeff Beck group that is reputed to be from this festival is more likely to be from the 67 festival or another festival altogether . Anything you can contribute in the way of scans or photocopies of photos , programs, set lists, memorabilia , newspaper articles or tickets will be gratefully received and added to the pages . 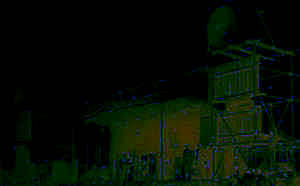 Your contribution will also be acknowledged on the site. 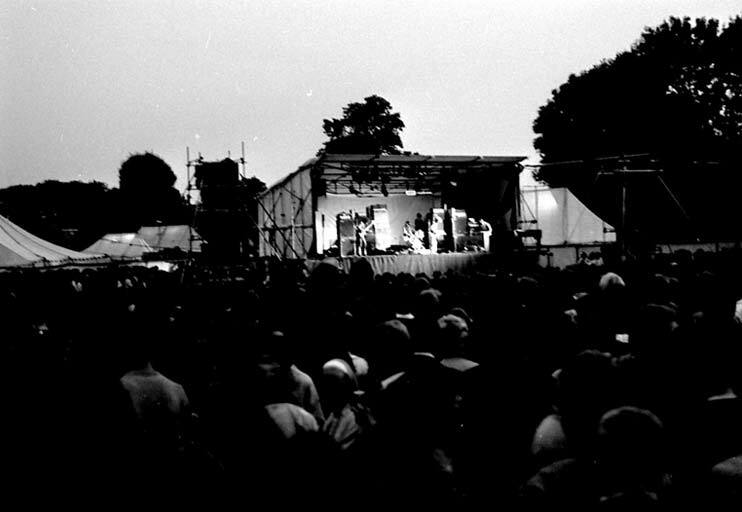 In 2002 many photos of the festival finally came to light , these now complement my review of the festival . You will find photo galleries of some of the artists who played. The galleries also contain links to sites with information on the bands. The images themselves mostly consist of stills of group members from 1968 TV shows or as near to the year 68 as I can get . 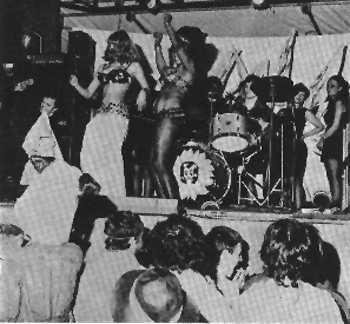 1968 National Jazz and Blues Festival . Pre festival hand out from the Marquee club. My account of the festival part 1. My account of the festival part 2. Photo galleries of the bands. Crazy World Of Arthur Brown. Joe Cocker and the Grease band. You can find out the complete line ups of the first festivals if you follow the links below, but otherwise information is fairly limited.